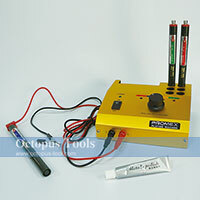 ◆ Each pen contains 10ml of concentrated plating solution and can plate up to 80x80cm of surface. ◆ Plating solution won't deteriorate easily. Shake well before use. It's recommanded to finish in one year. And put the pen right up after use. ◆ Gentlely apply the plating pen to the surface of the object. ◆ Plating solution is ecofriendly and not harmful. 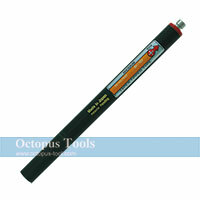 ◆ When plating gold or silver on zinc board or lead board, use double concentration plating pen. ◆ For details on how to use this plating machine and its accessories, please read the user manual inside the package. ◆ The Degreasing Pen will be expired after 10 months in mint condition. Please use it up in 3 months once being opened. ◆ Each pen contains 10 ml of solutions. ◆ With this Plating Pen (Copper), you can plate quickly and very easily. ◆ The Plating Pen (Copper) will be expired after 10 months in mint condition. Please use it up in 3 months once being opened. 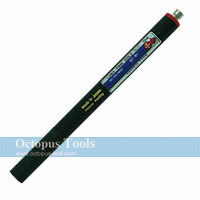 ◆ Each pen contains 10 ml of solutions, and can plate approximately 80 x 80cm area. ◆ If you can't find the Plating Pen you're looking for on our website, please contact our sales team trading@octopus.com.tw for more information. ◆ With this Plating Pen (Nickel), you can plate quickly and very easily. ◆ The Plating Pen (Nickel) will be expired after 10 months in mint condition. Please use it up in 3 months once being opened. ◆ Each pen contains 10 ml of solutions, and can plate approximately 60 x 60cm area. ◆ With this Plating Pen (Chrome), you can plate quickly and very easily. ◆ The Plating Pen (Chrome) will be expired after 10 months in mint condition. Please use it up in 3 months once being opened. ◆ With this Plating Pen (Black-Nickel), you can plate quickly and very easily. ◆ The Plating Pen (Black-Nickel) will be expired after 10 months in mint condition. Please use it up in 3 months once being opened. ◆ With this Plating Pen (Pink Gold), you can plate quickly and very easily. ◆ The Plating Pen (Pink Gold) will be expired after 10 months in mint condition. Please use it up in 3 months once being opened. 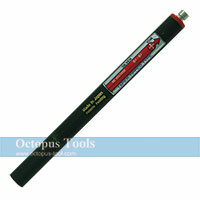 ◆ With this Plating Pen (Rhodium), you can plate quickly and very easily. ◆ The Plating Pen (Rhodium) will be expired after 10 months in mint condition. Please use it up in 3 months once being opened. ◆ With this Plating Pen (Silver), you can plate quickly and very easily. ◆ The Plating Pen (Silver) will be expired after 10 months in mint condition. Please use it up in 3 months once being opened. ◆ With this Plating Pen Stainless Steel Degreaser, you can plate quickly and very easily. ◆ The Plating Pen Stainless Steel Degreaser will be expired after 10 months in mint condition. Please use it up in 3 months once being opened.